I always end up taking photos of things that I have no idea what they are with the intention of looking them up but then I don't get round to it, so if you know what anything is, give me a shout please! Ebi-kun spotted this mukade at the side of the cycle path, it was a good 15cm long and evil looking. I have never seen one like this before, I have heard people complaining about finding them in the house and I always thought they were talking about the little horrible things we get, about 5cm long and black, if I saw this in our house I would be out of there. No idea what this little fella is. Ebi-kun was in grasshopper heaven, this was about the 5th one of this size that he caught, he was a bit annoyed that we hadn't bought the bug box with us. 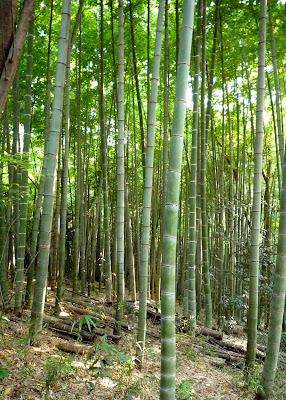 OK, I know this one, bamboo! 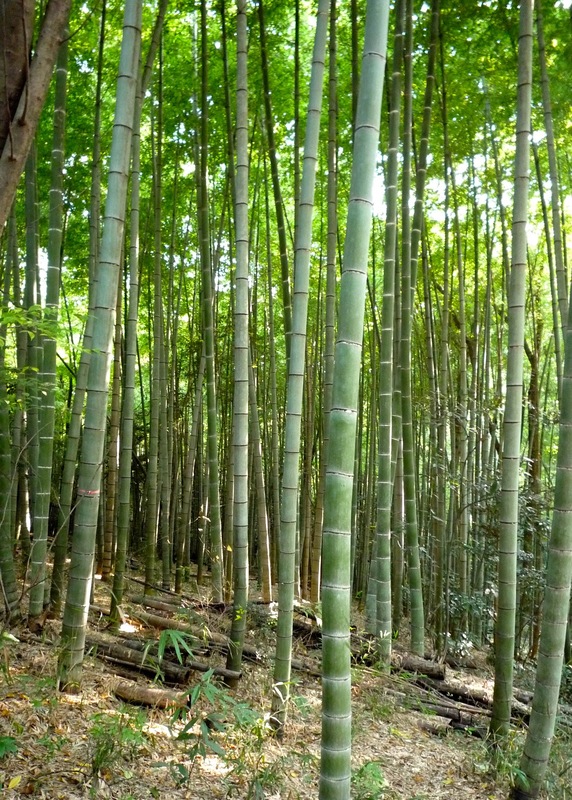 Something so peaceful about bamboo forests. And another random, I have no idea what it is pic. It was a lovely day, we were all shattered by the time we got home and all ended up going to bed early - country air, it does that to you. The purple flower is EITHER a cyclamen OR a dogtooth violet. The black bobbly seeds are udo! thank you! 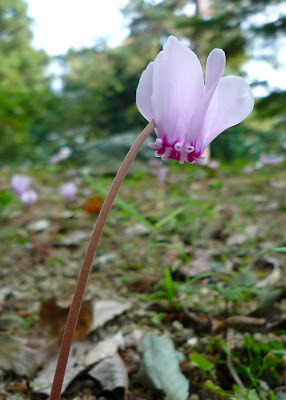 the cyclamen were very pretty there were pink and white ones. The last photo may be of elderberries. They make nice cordials out of the berries and also the flowers. I think Ikea has elderflower cordial.